It was a somewhat slow and somber night for Miami as a whole and, in a night where the hometown soccer squad honored the recent loss of the young Miami Marlins phenom Jose Fernandez, the soccer match felt a little bit of the same. The Miami FC took on the Ottawa Fury as the season’s end feels stressfully closer. Stressful because Miami is battling in a relentless pursuit to attain a playoff birth for the first time in this team’s infant history. Following a tough 0-1 loss last Friday to Puerto Rico FC, Miami hangs on to a 4th place standing for the NASL Fall season. However, with only 7 matches left (counting tonight’s), Miami must make the playoff push if they are really to see the post-season. 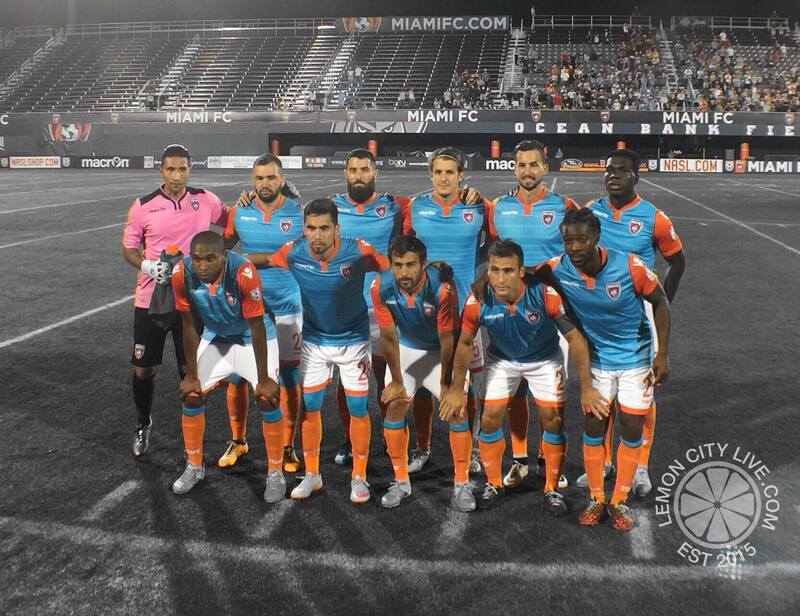 Miami FC’s last match, while a loss, was at home. Five days separated the games for Miami as they stayed in town to host the Ottawa Fury. A few things need to be taken into account when considering this game. Miami remained in town to host a team traveling many miles to get here. Ottawa’s last match also happened to take place a day after Miami’s and the Fury maintains 5th place in the Fall standings, one below Miami FC. In other words, heading into this game, it would behoove Miami to take advantage of the opportunity to both get the much needed three points and create further separation from the team directly behind them. What’s more, Miami should be expected to win a match like this given the slight scheduling advantage. Well, expectations can be very far apart from the eventual reality. As I alluded to before, it was a mostly forgettable and lethargic night for the blue and orange. The chances created seemed scarce and they didn’t play with any particular aggression, or at least that was the story early on. The game seemed to liven up in the 35th minute when a long through ball from Jonny Steele found its way to Michael Lahoud (our boy) who put away a right-footed strike past the Fury GK Romuald Peiser for his first NASL goal. Miami seemed primed to get the W as long as they hung on and played solid soccer. Here’s a little foreshadowing, the late dramatics were a theme in this game separated by stretched periods of mundane football. Near the end of the first half, the dramatics were provided by the Fury. Giuseppe Gentile received a ball just inside the box, turned and rocketed in a strike that GK Mario Daniel Vega had no chance against for the equalizer. I was not lying when I spoke of the lows in this game so I will fast forward past a few missed opportunities by Ottawa including some nice saves by Vega and a header off the post to keep the score knotted at 1-1. To the 88th minute we go as Miami seemed to find their game winner only to be erased by a foul call. A crowded dogfight in front of the Fury net broke out as several things seemed to ensue; a possible handball “header” to go along with the customary pushing and shoving. 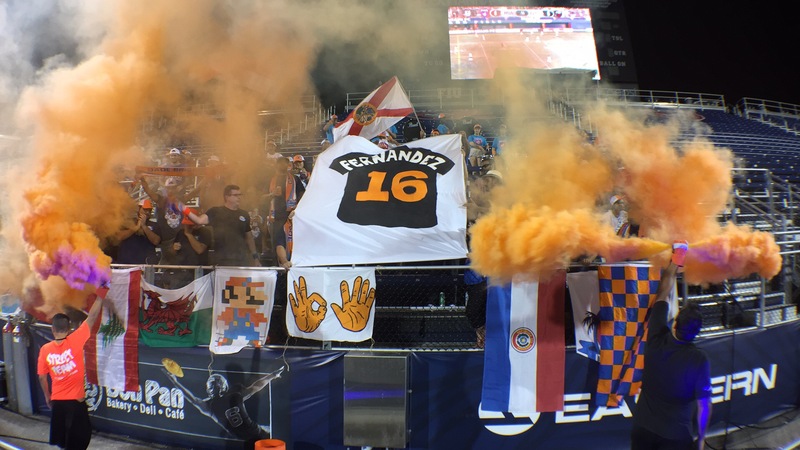 Miami FC seemed destined to hold on to the tie and settle for the lone point. But wait… Sweet life! Gabriel Farfan gets taken down in the added time, 5 minutes were awarded. Here we go! A free kick. Hunter Freeman sends one into the box as Vincenzo Renella emerges above the crowd to head in the go-ahead GOOOOOOOOOOAAAAAAAAALLLLLLLL!!!! Things got a little scary with a quick turnaround as Ottawa created a very decent chance to tie it up once more right before being denied by Vega with a monster save to his right lower 90 leading to a Mason Trafford clearance. Whistle blows! Wrap this baby up and hit the showers.